A 25 minute taxi ride got us to church a bit early. Singing group practices up front. There is a sharp bend where the Hudson has one of its narrowest points. A great spot to stop the British from getting up the river and splitting our country into two. So a military fort has been continuously at West Point since George Washington put one there in 1778, the oldest in the US. The school was started in 1802. 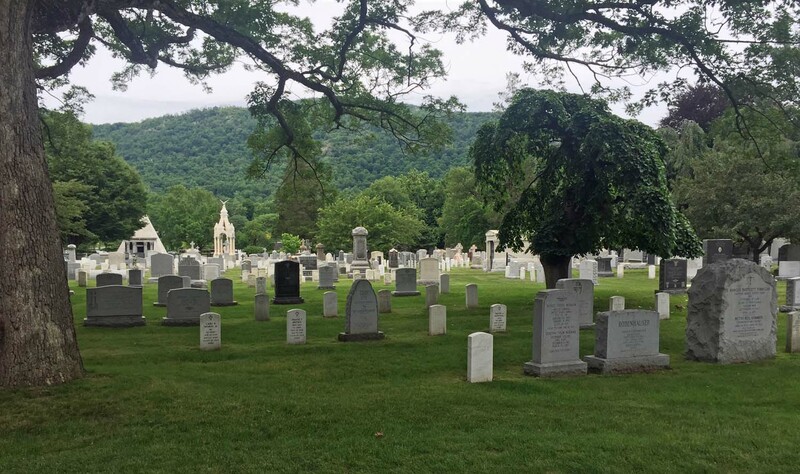 Cemetery turned out to be high point of tour. Our guide knew all the stories. Great men are buried there. 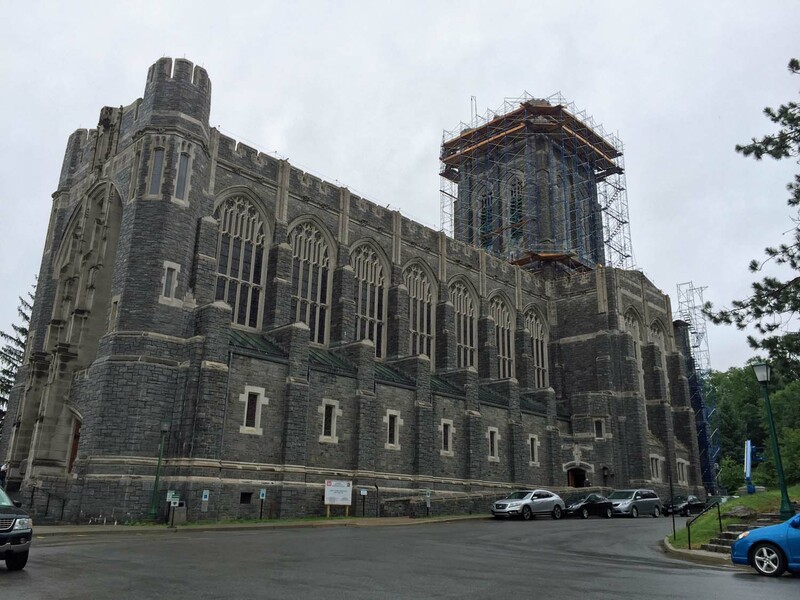 We toured West Point on Saturday. The tour probably meant more to Sue and I because we remember men like Schwarzkopf, Westmorland, Stilwell, etc. Of course Keith and Gayle knew some like MacArthur and Eisenhower. Admission into this school is really tough and a number of great military leaders have come out of it. The buildings are old and built from stone. One of them is the largest stone building in the US. During the tour through the cemetery we saw graves for a lot of men we recognized. Our guide told a number of stories about the people there. We are moving fast now, but some things are still worth stopping for. This was one of them. Outside the chapel on Sunday. After the service, on the way out. 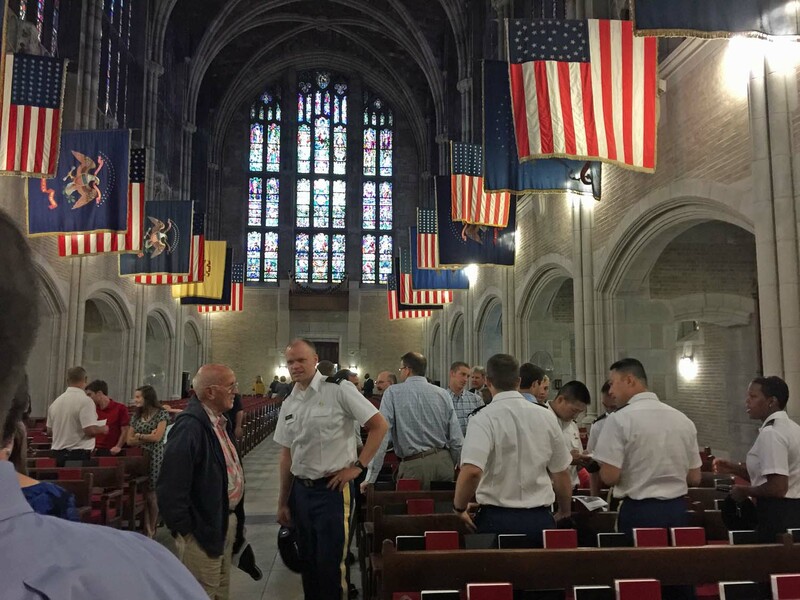 Sunday we went back to West Point for church at the Cadet Chapel. The building is beautiful and the 23,000 pipe organ sounded great. 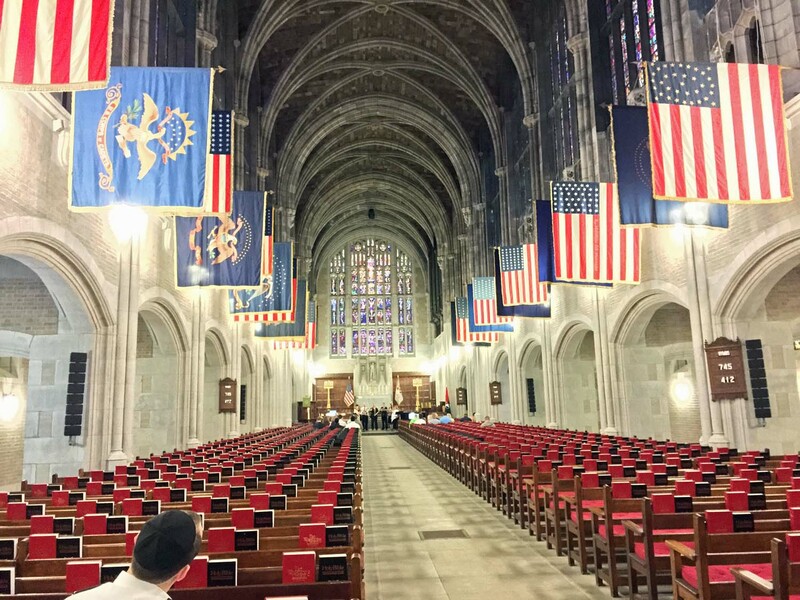 The acoustics are good for sacred music but, combined with the chaplain’s unsteady voice, not so great for speaking. Overall definitely a high point of our trip since leaving Washington.